On October 22nd, 2014, Justifacts teamed with Berkshire Associates to present the latest hiring laws as they relate to hiring and best practices during a live webcast. In the event that you missed it, a recording of the webinar can be viewed by clicking this link – Keep HR Out of the Courtroom: New Hire Compliance Concerns. We hope that you find the questions useful and our answers informative. Q: Can you speak on deciding factors when reviewing credit check results? Wouldn’t they be slightly different from criminal screening’s results? A: In all circumstances, an organization should have a formal background screening policy which addresses the use of all information obtained when using a background check. The laws applying to credit check reports are significantly different from the laws governing criminal record checks when employers are using credit checks for the purpose of making a decision. The use of credit checks is more of a “gray area” when companies use them to determine suitability for hire. One of the most helpful areas of the credit report to review is found in the Profile Summary section. As it provides a summation of the applicant’s overall credit standing or history. Certainly, other factors to look at include delinquencies, bankruptcies, liens, etc. With the growing number of states who are limiting the use of credit reports for purpose of employment, it is important to remember to conduct a credit check only on individuals who will have access to financial data, cash, credit cards, etc…and as it pertains to their job responsibilities. Regarding criminal records, Justifacts can determine if the candidate has a record such as a Felony, Misdemeanor, or Summary Offense conviction. This makes the decision easier whether or not to hire the applicant. When using criminal records to make hiring decisions, employers should always consider the nature of the job, the nature of the offense and how it relates to that job, and how much time has passed since the conviction. Q: How do we find out if our state/city/county has “banned the box”? The information pertaining to the laws in that state regarding “Ban-the-Box” will appear. Please note that many of the laws listed in this link affect public sector/government contractor employees only. Justifacts will be happy to provide a list of laws that strictly affect private employers if requested. Q: Would you provide a copy of the Summary of Rights with the authorization form before you pull their credit report? Then, provide another copy of the Summary when you send the adverse action letter? A: Yes, the FCRA requires employers to provide each candidate a copy of the Summary of Rights document prior to conducting any type of background screening. This includes a credit check, criminal background search, driving record history, etc. If you may be taking adverse action against an applicant based in part or in whole on information obtained in the background search, you will need to provide your candidate with another copy of the Summary of Rights document, a copy of the background report, along with the Pre-Adverse Action letter. Finally, after a reasonable time, usually 5 to 10 business days, the adverse action letter can be sent along with another copy of the summary of the applicant’s rights and a second copy of the report. Q: What about jobs that require a security clearance? A: The criteria for security clearances can vary widely. It may be determined by private organizations or may be strictly defined by specific legislation. A background search can be customized to meet the specific requirements of the client/agency outlining what types of clearances/background checks need to be processed. This is to make sure Justifacts is meeting the needs of the client or agency. 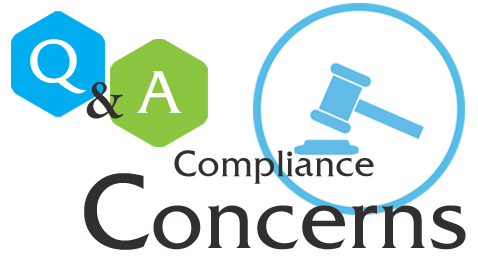 Q: Can we get a copy of the sample Summary of Rights, Pre-Adverse Action Letter, and Adverse Action Letter examples? A: Yes, please find the attached links for examples of the Summary of Rights document, along with sample copies of our Pre-Adverse and Adverse Action Letters. Q: What happens if an employer is located in one state, but the candidate lives in another state that has restrictions not applicable to the employer’s state. Do the laws in the employer’s state or the laws in the applicant’s state apply? A: State laws can vary widely. Some laws are directed at employers while others are protections for consumers. For maximum compliance and to avoid unnecessary litigation, Justifacts uses both the applicant location and hiring location to determine which laws apply. Q: What about a conviction for drug-related offenses in a manufacturing “drug-free” environment? A: “Drug-free” environments are usually accomplished via drug testing, no previous criminal history. A conviction for drug-related offenses may or may not affect the establishment of a “drug-free” work environment. Depending on your company policy and standards. Employers should take into account the time that has passed since the offense. And of course, review your policies with appropriate legal counsel. The best policy for a “drug-free” environment is a formal drug testing policy. Q: We are a government contractor and many government agencies will not hire anyone with a felony. For example, they cannot enter the military base. How does an employer work with that? Who is liable? A: When working with a government agency, a contractor is obliged to abide by the laws that regulate the hiring practices of that specific agency. As a background check provider, we will conduct the necessary background searches based on the specific requirements of the government agency. If a felony conviction is found on the background check, we include that information in the report. If the agency does not hire anyone who has a felony conviction, they will not pass the background check.